For many this time of year isn’t a cheerful time. But JOY can still be found. And today’s world is certainly weary, isn’t it? But it is an emotional weariness. A deep question of where is the good in all the bad. So for today’s post, I feature my author and musician friend, Lisa Hamil who has created some helpful material for taking your life forward into joy. Don’t we need some joy? Lisa coaches people in a practical way to create joy in their lives. She utilizes three steps: Faith, Appreciation and Relationship as the basis for gaining a settled life of more joy. You can download her material here. Not only that, but she’s just released her new book, It’s About Time. 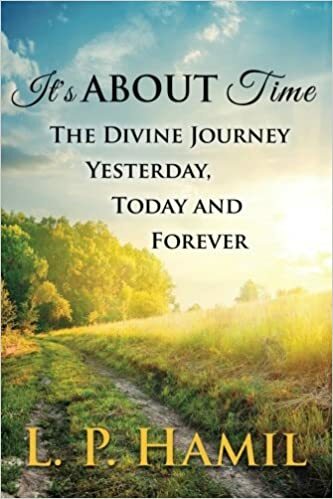 Her book reviews various perspectives of time both conventionally and from a biblical perspective and shows us how to live NOW. We don’t have to wait for heaven to experience a rich, fulfilling life. We can enjoy our “now” by living in the present with JOY. Lisa has a passion for healthy vibrant living. As a pharmacist, she knows that medications may not be the best answer for creating what really promotes healthy life-style changes. Spiritual guidance has so much to offer in propelling our life’s mission. Our thought life is what energizes our world. Lisa has found that her moment by moment connection to the presence of God is what transformed her life. That life long pursuit grows more fully with each day. Her mission in life is to share that expanded joy with those seeking to live a life of purpose, passion and fulfillment by knowing the reality of God. Lisa herself is a joy and delight to be with. She exudes peace and confidence. Her book and music are available on Amazon or on her website. Laura, Christmas can be a difficult time for most. Thank you for sharing from your heart and for the info about L.P. Hamil. Merry Christmas Blessings to you and your family, Laura. Thank you, Tracy. Yes, there is always a tug of sorrow for most of us in regards to missing loved ones or having unpleasant or even bad memories. And of course some families are estranged as well. I pray your Christmas was full of blessings in spite of any heartache! Here’s to a New Year filled with hope!